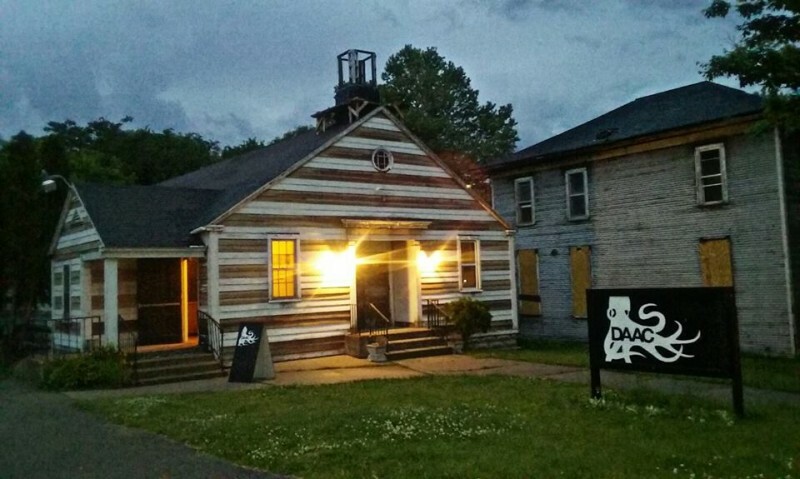 The DAAC, Division Avenue Arts Collective, is back this summer with all-ages programming at their 333 Rumsey location as part of a partnership with Habitat for Humanity of Kent County. Please feel free to message us on Facebook or shoot us an email ([email protected]) if you have questions regarding any of these upcoming dates. After attending the first meeting back at the space, Kylee Preseau and Charity Klein Lytle, board members for the DAAC, talked to me about the history of the space, getting involved, and what it means to them. What does the DAAC do and how long has it been around? 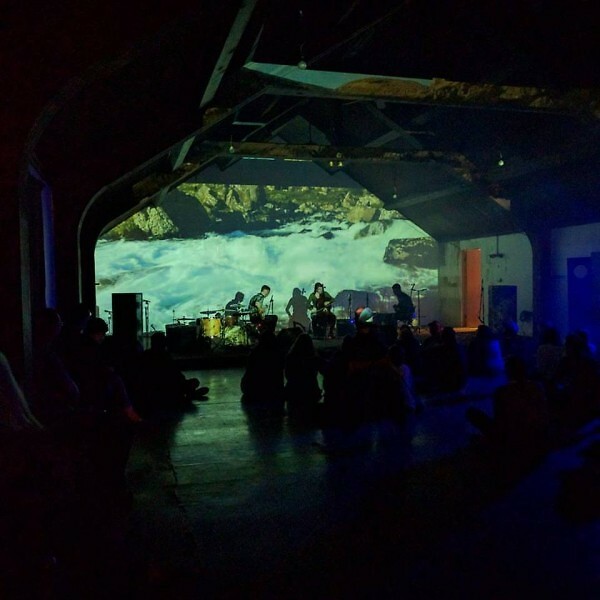 The Division Avenue Arts Collective or DAAC, is an all-ages music venue, art gallery and DIY project incubator in Grand Rapids, MI. It has been around for 14 years. Fueled by volunteers, The DAAC exists to provide a safe & neutral space for artistic expression, available to everyone regardless of age or other circumstance. We believe that everyone has something to contribute, and we strive to create a community based on participatory culture through a DIT (do-it-together) approach. Additionally, we are deeply committed to remaining non-commercial, independent, and institutionally transparent. Taking a cue from the former DIY cultural center MESS HALL (Chicago, IL), we have developed a ten point outline of what we as a collective believe in. Why is the DAAC so important to the neighborhood and the Grand Rapids DIY community? From my perspective, The DAAC has been important to Grand Rapids and the DIY/DIT music scene for a few key reasons. I didn't grow up here and with the DAAC, but i know it was a huge part of some of our board and volunteers' upbringing. Being involved on the board for the past 4 years, I've heard many stories from them and I know it would have made a big impact in my life as well if I had something like this in my teens. To be able to experience music at a young age and in a safe space is very important to fostering ideas and one's own identity. Another reason I feel the DAAC is important is because it's so open to artists. My band, Bermudas, had our first show at the old space on Division back in 2011. We were able to come to a meeting and pitch our show idea to the board. People were excited about it and gave up their free time to do sound and the door at our the show which meant a lot when other venues may have not paid attention to us. They weren't in it to make money off us, but purely to help us as a band get heard and make a few bucks. The DAAC continues to be that place where artists can play their first show, display their artwork, show a film or conduct a workshop or meeting regardless if they are known in the community. This helps build a stronger artist community in general. We get many out of town artists requesting shows & they've heard of us through their music scene. That's pretty cool that we can help them play in GR and get their art known here too. One last reason I'll hit on (and I know there are many more!) is that it can be the constant DIY venue in town when many other venues rotate in & out of the scene. It's also accesible and tries to maintain a set of values and policies which can be harder to keep constant in other places. Running a venue is hard work and it's definitely more successful when we have a team of people that are behind the mission and want to see it do well. The DAAC is nothing without it's volunteers and we are so grateful to all the people who have started it and kept it going through the last 14 years. What have been some of your favorite past shows and events?